Don’t think of cost, think of value. Investing the time to be more attentive to the largest door in your home will end up saving you additional time and stress in the later future. Your garage door has the largest moving parts in your home that’s being used daily and taking care of it as much as possible will ensure your safety, convenience, and tons of money. Here are five simple ways you can do to save you from outrageous garage door repair costs. Whenever opening or closing your garage door, keep your eyes and ears open for anything that may seem out of the norm. Pay close attention to squeaks, grinding, scraping, or jerking movements or sounds that might need quick attention. The number one goal is keeping your garage door functioning smoothly and properly. A garage door can only function properly when balanced. Save yourself from severe breakage by easily checking it manually. Simply pull the red cord or release handle and manually move the door halfway open. If the door doesn’t stay put, the balance needs to be handled immediately. The little things really do make a huge difference. Take the time to inspect your rollers, cables, and tracks to make sure they’re functioning correctly. Your cables play a huge safety role and replace any broken rollers immediately to ensure proper operation. Keeping your tracks clear of debris and objects also helps the function of your garage door opening and closing. Your garage door only requires an annual dose of lubrication and it doesn’t take any longer than 10 minutes. Garage door lubrication keeps the moving parts in your garage door to function fluently and sometimes a lot more quietly. Think about the many times a garage door opens and closes in its lifetime. 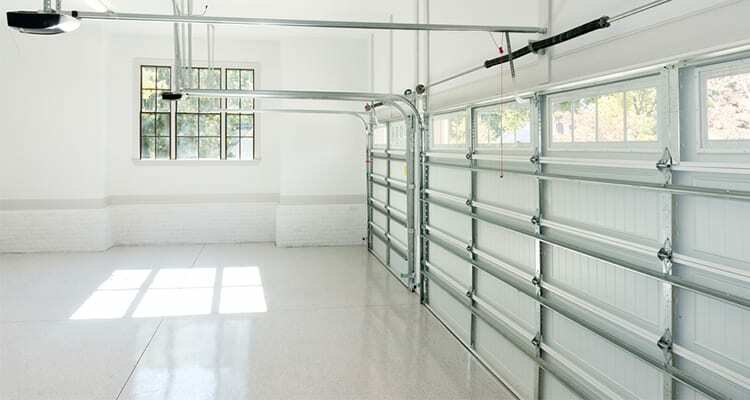 From constant movement and vibration, it’s common for garage doors to get a bit loose. Take time to examine and tighten up any bolts or roller brackets to prevent the hardware from getting loose.